Home / News / Company News / New Product Magnetic Rod With 13000Gs! New Product Magnetic Rod With 13000Gs! Recently, 13000Gs Magnetic Rod or Tube Magnet with Diameter 25mm, pole pitch 25mm was developed by advanced process from Mag Spring Workshop. This product will be greatly increase the various magnetic filters (such as hopper magnets, grate magnets, drawer magnets, liquid magnetic traps, Rotatory grate magnets) efficient of removing or extracting super fine ferrous contamination from different powder materials or liquids, such as milk powder, charcoal, flavors, spices , vitamins , trace elements, pharmacy materials, etc., improve their purity . 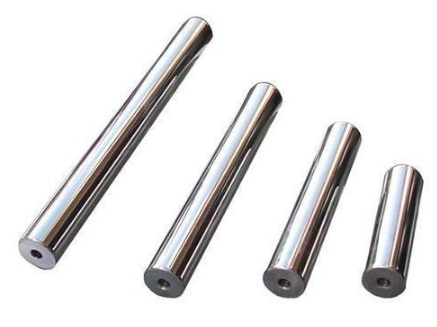 And this strong magnetic rod also can increase the outer magnetic strength of easy cleaning grate magnets, magnetic trap, magnetic drawer from 8000Gs to 9000gs,even near 9500-10000Gs. Customer have new source for their high requirement application with economical price.